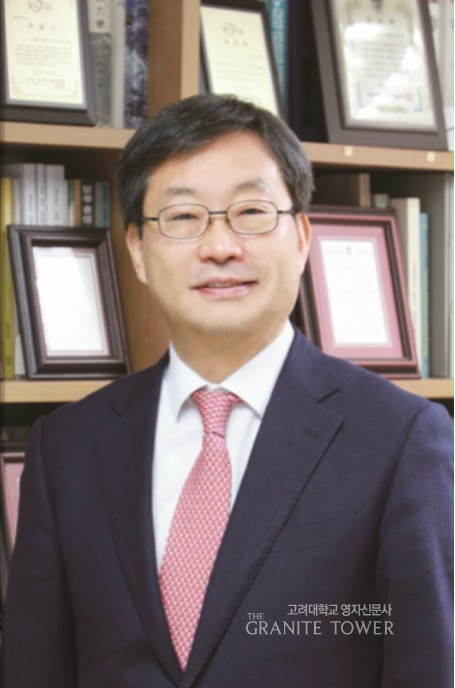 It is not only excited freshmen who start their first year this month; the 20th president of Korea University (KU) also begins his term in office. Under the slogan “Human KU creating new values,” President Chung Jin Taek has promised a better campus experience for all members of the school community. Embracing a new beginning for KU, it is also desirable to learn about different views regarding the current election system, which has faced some criticism. Now everyone is hoping to bring about a substantial leap forward for KU’s better educational environment. The election for the 20th president started with candidate registration in October 2018. Of the seven initial candidates, two dropped out after the Faculty Senate of KU (FSKU) conducted a vote on November 27. The Candidate Recommendation Committee, which consists of directors, faculty members, employees and students, voted on December 13 to narrow the list down to three. Professor Chung Jin Taek (Department of Mechanical Engineering) was unanimously selected on December 20 by the KU Foundation. The indirect election system, in which the KU Foundation has the final say, follows the Private School Act. According to the Act, an educational foundation has the authority to form a board of directors in charge of presidential elections. However, KU’s current method has received some criticism that it might not reflect on the opinions of all campus members. The FKSU released a statement on December 27, 2018, which criticized the dogmatic decision of the foundation. Under the current indirect election system, the elected president has often not been the candidate who received the most votes from the Candidate Recommendation Committee, and it was the case in the latest election. Students have also expressed an opinion about the current election system, fully aware of the little authority they have. Of the 30 members on the Candidate Recommendation Committee, there are only three student representatives, and they cannot participate in the Revision Committee for the President Election System. The Korea University Student Union (KUSU) has actively voiced its concerns and made some progress. The Revision Committee promised to offer the student body a broader chance for participation, such as making a presentation to the official members of the committee during its conference. However, it is also necessary to understand that instituting a direct election system is neither a complete nor a perfect solution. Although several universities have recently adopted the system, controversy still exists. Some are concerned that the system might lead candidates to encourage factions or to embrace populism. On the other hand, some others are dissatisfied with the low participation rate in the committee when voting actually takes place. In order to find a balance between the different views, universities, including KU, have been asked to commence discussion and search for agreement. The New President: Who is He? Considering the assertive opinions expressed by the FKSU and KUSU after the election, it is expected that the new president will fulfill his campaign pledges to captivate them. President Chung has gained insight into the workings of KU as the Vice President for Development and External Affairs and the Dean of the Graduate School of Management of Technology. Based on his experience on campus, he has made eight major pledges dealing with education, support for research, finance, communicative administration, and campus infrastructure. As the first president from the College of Engineering, President Chung plans to improve the environment of the campus based on natural science. He has stated, “engineering technology ultimately exists for humanity,” stressing the importance of data on campus, or more specifically, the accessibility of information regarding school facility usage and student demographics. For example, information about the number of disabled students can be useful when devising welfare facilities. By establishing information infrastructure, such as the Internet of Things (IoT), the president is expected to achieve his goal of effective administration based on data. President Chung, however, does not excessively focus on the Science and Engineering Campus. His emphasis on a student-centered education system is a positive sign for the entire student body. Of upmost interest for students is the course registration policy. Although the system underwent a considerable change last semester, some issues remain unsolved. President Chung proposed an alternative, a combination of mileage and a time ticket, to ensure priority for students who are registering for their last semester before graduation. 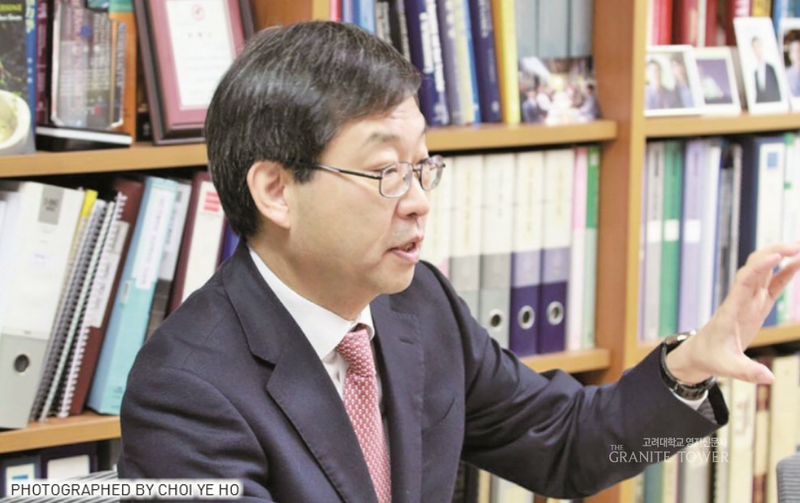 Though President Chung’s proposition might seem similar to the Yonsei Course Enrollment System (Y-CES) at Yonsei University (YU), the two have a different focus. YU’s system provides students with the same mileage that they can use for bidding and then gives priority to those with the total number of credits earned according to the time-ticket policy. On the other hand, President Chung plans to use the time ticket first and then distribute mileage for those on the waiting list to put prospective graduates first. This clear purpose can be regarded as a strength. “However, no measure can make a perfect course registration policy,” according to President Chung. Indeed, some concerns arose in YU that the mileage policy does not provide a fair platform for colleges because difficulty in course registration varies. Thus, a policy that can equally satisfy everyone does not exist. “The sole solution is to draw an agreement through adequate discussion with all members on campus,” the president concluded. Based on his strong understanding of the course registration process and open attitude, he is expected to offer students a better system during his term in office. Another pledge for establishing an efficient education system for students is to expand support for secondary majors and interdisciplinary majors. In his KU Development Plan, President Chung underlines the necessity for interdisciplinary majors in the fourth industrial revolution era. Aiming to offer interdisciplinary majors using a bottom-up approach, he promised to embrace students’ demands to create their own curriculums rather than provide a top-down list. It is expected to raise the ability and competitiveness of students when they step into society. Although the president uses the term bottom-up interdisciplinary major, his scheme resembles the student-designed major policy of KU. The latter states that students that have been enrolled for more than three semesters are allowed to design their own curriculum by combining courses from more than three majors. As well-intended as the policy is, it has become nominal, not promoted enough to students and faculty members. For example, in the spring semester of 2019, only one student received permission from the Course of Study Committee. When asked about this situation, the president proposed active promotion to encourage students and incentives for professors who guide their students to create their own interdisciplinary major. It can be regarded as desirable that the president is aware of the current situation and puts forth possible solutions. However, there is a concern that a well-defined distinction between the two major policies and a more concrete scheme are needed to actually promote change. With supplementary discussion, KU is expected to help students take a step towards a new era. Aside from student-designed majors, interdisciplinary majors have also lacked support because they are not regarded as an independent department. President Chung has suggested allocating an autonomous budget to departments in proportion to the number of students who are majoring in them as a secondary or interdisciplinary major. Consequently, this financial support is expected to bring about a virtuous cycle and revitalize existing interdisciplinary majors. Though there is still some concern remaining regarding budget issues, his prior experience in the Office of Development and External Affairs is expected to prove helpful. What is noteworthy in the president’s plan is the thoughtful consideration of students. Indeed, he has referred to the inconveniences facing students in secondary or interdisciplinary majors during course registration. For instance, students with an interdisciplinary major could not register for a number of courses of the Department of Computer Science and Engineering that are essential for a major in Language, Brain & Computer. In view of this situation, President Chung has mentioned his intention to expand courses and accommodate all majors in his KU Development Plan. As long as he sticks to his vows, students will be able to experience an unrestricted educational environment. In order for these changes to be realized, it is important to pay attention to his administration from now on. Although the KU Development Plan deals with a broad range of affairs, it does not include full details about implementation plans. Therefore, individual students, as well as the KUSU, have to voice their opinions to ensure that the wishes of the student body is reflected. President Chung has emphasized that he is going to ask students what their needs are, so active communication between the president and the students is anticipated. The 20th president election can be a chance to reflect on the current issues on campus and join forces to address them in a constructive way. Until the next election, the problems with the current election system can be discussed thoroughly. Meanwhile, the President’s promises for the development of KU and the welfare of KU students and staff need to be carried out successfully. By discussing these plans, each member of KU can create a bright future for KU together. As President Chung has stressed, “Communication is necessary to find a compromise between different stances and build a better place for everyone.